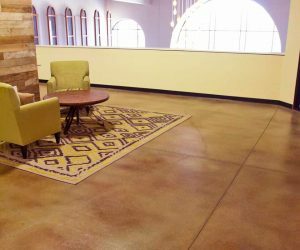 When homeowners and business owners are tired of staring at bare, mismatched, or stained (the bad kind) concrete, they often opt for concrete stain because it provides a solution that enhances any space, provides uniformity, and allows for creativity. And, one of our favorite things to do it restore old, faded, worn-out stained coatings…to BRAND NEW. 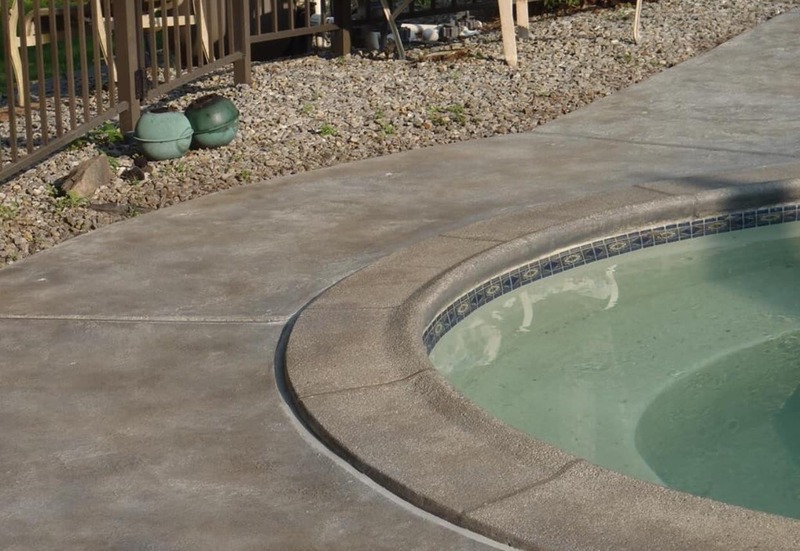 Concrete stain isn't limited to patios and walkways! Gain a style to suit your needs: modern, antique, simple, fancy, functional, different, and more! 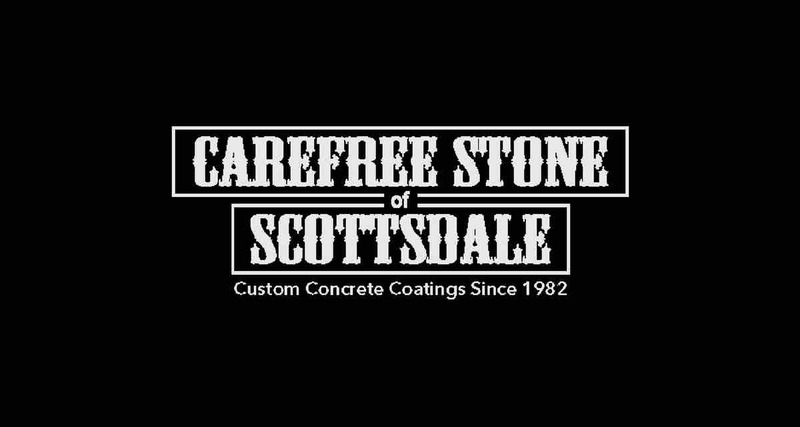 We install, repair, and restore concrete stain applications. Choose from a textured or a smooth base. Don't want real flagstone and don't want plain, stained concrete? 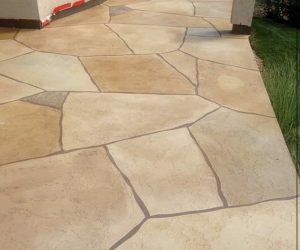 You may be looking for faux flagstone. Choose your grout color and choose your stone color! Some people go with one stain color for a clean look while others opt for varying colors for a unique pattern. It is up to you! 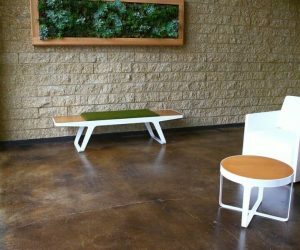 We install concrete stain applications to restaurants, residences, and offices for a reason: our material holds up! Our high-grade products (including the protective top-coat sealer) adds character and distinction, and comes with a warranty. Allow us to contact you. Fill out the form below!